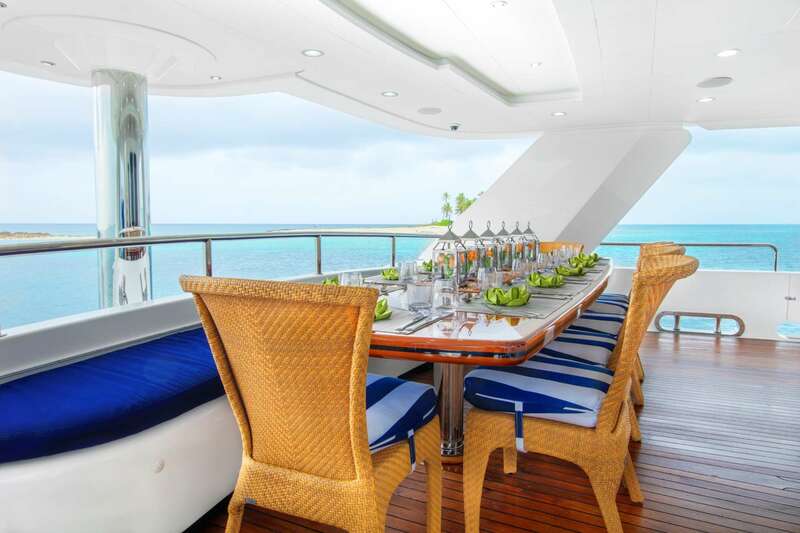 Offering an amazing platform for family charters, ISLAND HEIRESS accommodates 12 guests in 6 staterooms. 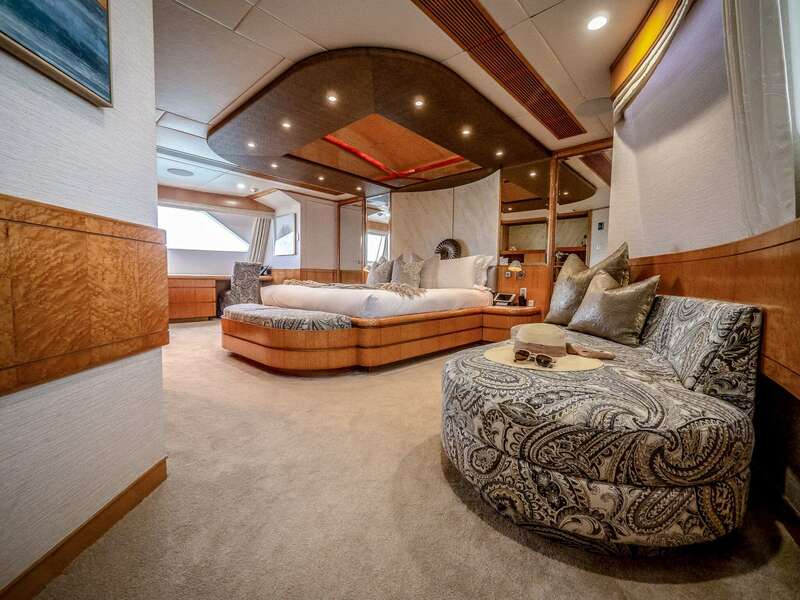 Her 29’ beam provides ample interior space with an open layout, a spacious full beam master (King) on the main deck and 5 well-appointed guest staterooms below- (3 Queens and 2 x Twins). 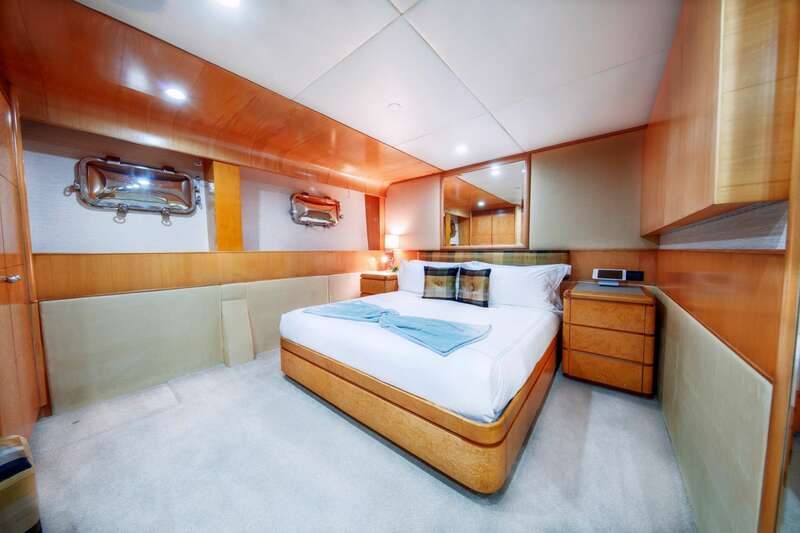 All cabins are en suite and complete with state of the art Audio / Visual entertainment. 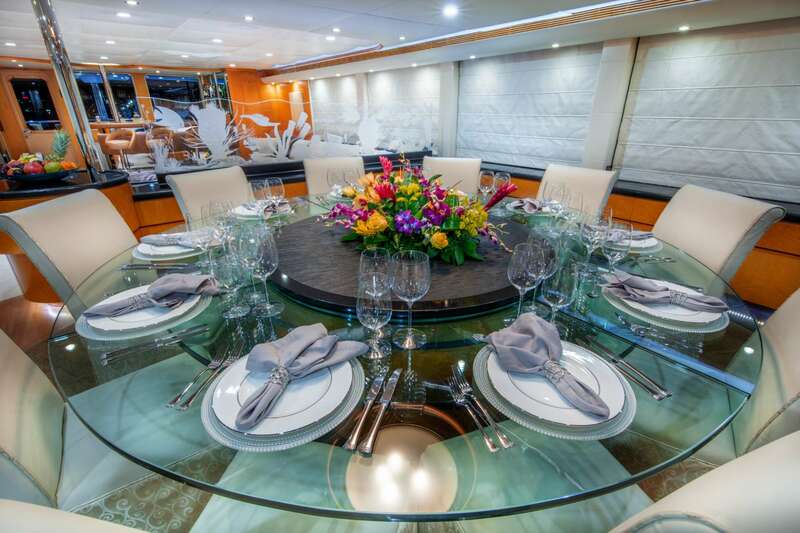 Guests will enjoy the abundant deck space onboard from her full cockpit aft leading to the covered aft deck with dining for 12. Up top the bridge deck offers cozy seating and a large round table aft for more intimate dining or casual groups. 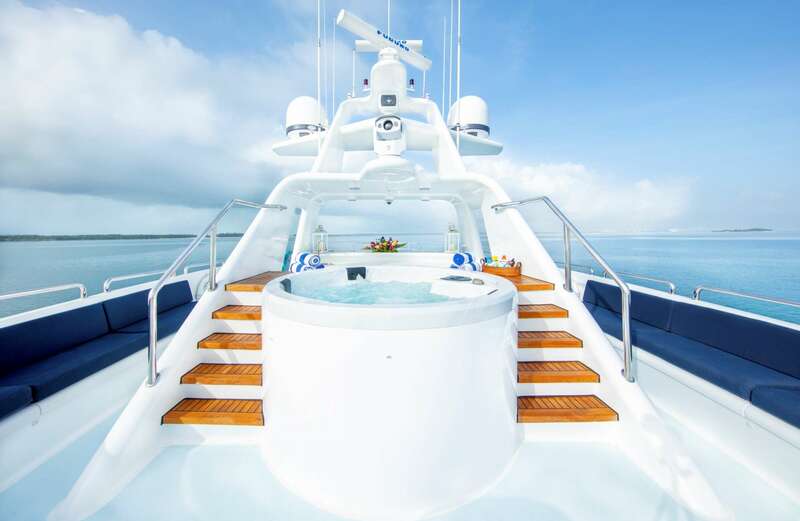 The flybridge deck is complete with multiple seating and reading nooks, a full wetbar and large Jacuzzi tub. 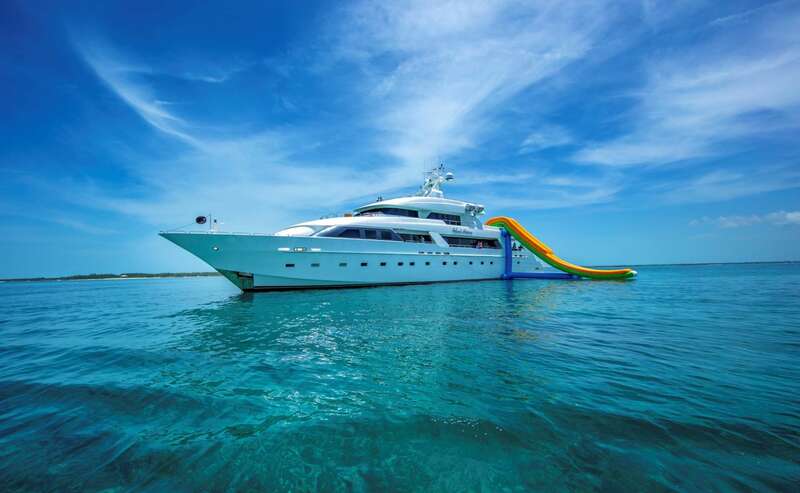 Based in the Bahamas year round with a full Scuba program, including certification courses, ISLAND HEIRESS is fully loaded with toys including a 30’+ plus towed tender, a giant water slide, SCUBA, massage and a large array of water toys in addition to her stellar charter crew under the lead of well-known charter Captain Herb Magney. ISLAND HEIRESS welcomes the active family to the serious divers and everyone in between looking for a relaxed environment with a professional, experienced and above all, fun charter crew! Main Deck: Large cockpit and swim platform for easy water access lead up to the aft deck and dining for 12. 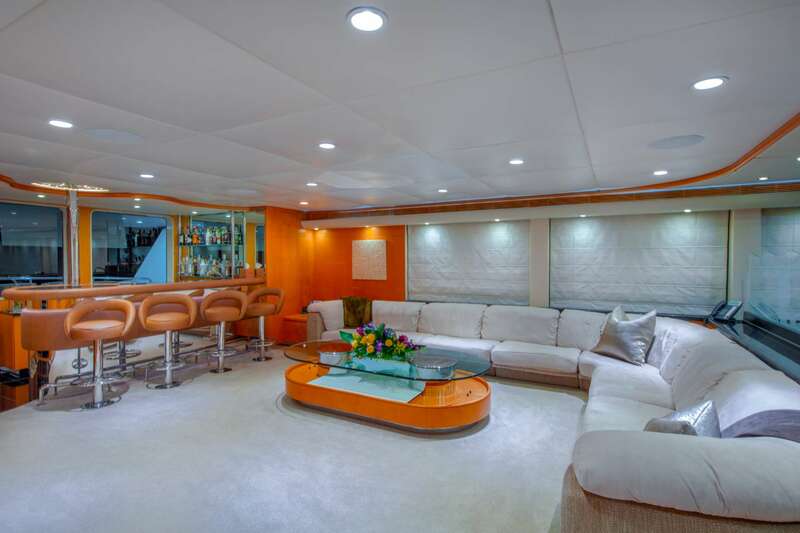 Upon entering the main salon to port is a full service wet bar adjacent to the large, wrap around setee seating. Welcoming and open, the main salon is fully equipped with a large flat screen TV. Just forward is the dining area for formal dinners. Just forward is the starboard foyer with day head and access to the cabins below. 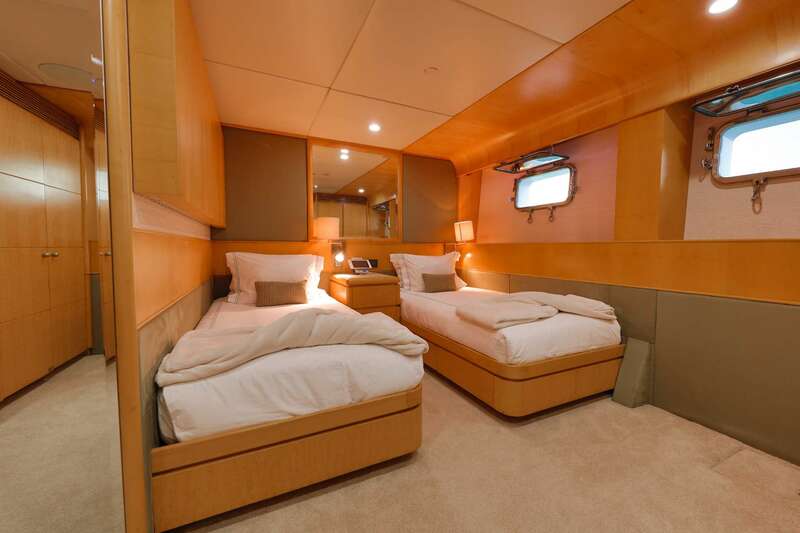 Master cabin: Full beam with KING bed and his and hers en suite. 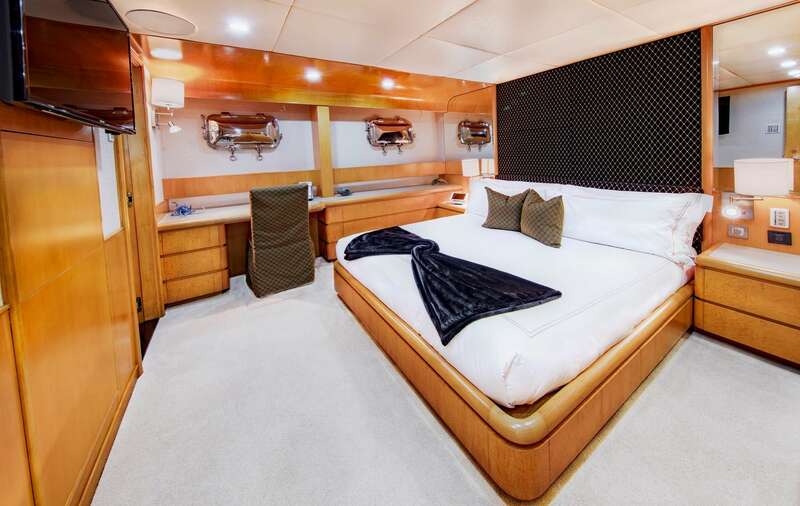 Below Deck: 5 spacious guests cabins, 3 Queens and 2 Twin cabins, accessed along a wide hallway. All en suite. Bridge Deck: Large skylounge with game table and seating. Flat screen TV, X-Box. With access to the bridge deck this is a great family space for games, movie nights and karaoke. Flybridge: Large open space with a variety of seating nooks. Jacuzzi with swim up bar. Full wet bar and BBQ area with bar seating.